Amazing as it may be, your regular mascara can’t compensate for the red-eyes look caused by the irritation. Not to mention your pain and discomfort from that itchy eye sensation. Your eyes often feel dry, watery and sensitive to contact with makeups? But still, your lashes crave for the gentle touch of a makeup brush… You must select your products with great care, so let’s find out what is the right mascara for you. First of all we should understand where is our sensitivity coming from. Could be the itchy flakes that cause redness, could be the smudging when the product gets in the eyes and you get that burning sensation or it could be a simple allergy triggered by specific compounds, in which case you should actually look for hypoallergenic products. Whatever the case may be once you know what bothers you, it’s easier to find the right formula for yourself. Simple mascaras tend to be easier on your eyes. Those fancy formulas that thicken the lashes would do more harm than good as they’re more likely to spread little flakes and irritate the eye. Same goes for those hard to remove products: the remaining pieces would cause a lot of discomfort overtime. That being said we can safely cross off the list any extension fibers and most of the waterproof ones and stick with formulas that won’t flake or clump. More color on your lashes means more pigments in the formula. Usually that shouldn’t be a big deal but they can also cause irritations for the sensitive types. They’re a major source of discomfort because they get up close to your eyes with the mascara. Especially the synthetic fragrances tend to cause that eye redness that we want to avoid. This one… is a no-brainer. The safest choice is always those formulas with the more natural ingredients. And while we’re at it: always read the ingredients list carefully. Notice the ingredients in formulas that didn’t work for you and you can learn your enemies this way. Getting the right mascara is one thing. Afterwards it all goes down to how you apply it. And the brush you use plays a big part in this. We all want a brush that can curl the lashes easily but for the sensitive eyes it’s important not to go too close to the waterline. And for this a handy brush in a careful hand is a must. You’re going through changes and often the mascara that was near and dear to you can turn into a nightmare. And that’s the sign that you should get out of that relationship and start meet new… brands. That’s right! It’s not about brand fidelity it’s about what’s good for you. Don’t be afraid of change, there’s always a good chance for a better formula for yourself out there. The more you try the greater the chances of finding your match! There won’t be a single product to fit the bill for each and every one of us because our eye sensitivity can have different causes. Getting to know that first it’s always a good starting point. All this being said, let’s take a look at our picks for sensitive eyes. Oh… keep in mind that I won’t be too harsh judging the performance as we’re mostly talking about natural/gentle formulas. Formula: packed with natural ingredients such as rice bran wax, olive oil esters and acacia Senegal gum, black color. It’s a bit wet at first and if you like your dry formulas just give it some time and it will get right after a few uses. 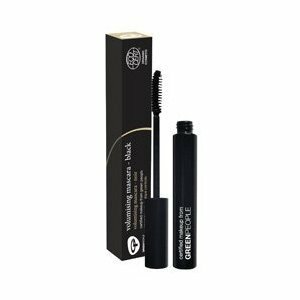 Performance and reviews: it’s very good for long lashes as well as for thin lashes, because this product can really hold a curl. Every single review agrees on three things: it adds volume, it lengthens and it applies evenly. And everyone agreeing upon one product it’s pretty rare when it comes to mascaras. Also it doesn’t clump or smudge and makes a very good job defining and separating the lashes. This formula knows how to take care of your lashes as you will notice you lose far less lashes wearing it and feel them healthier. Does very well for a natural and subtle look, it’s a real treat if your eyes got hurt before by other products. It keeps a very good balance, being natural mascara and delivering very good results therefore earning its spot as one of the most rated mascara for sensitive eyes. Performance and reviews: Blinc Mascara does a great job in adding length to you lashes and has a wonderful tubing effect, especially when applying multiple coats you can actually see it building the length. However, if volume is what you seek I wouldn’t recommend this one. It is water resistant but not waterproof which means it can handle a few drops but don’t count on it for a pool party. It stays on all day, without flaking or smudging. But the coolest thing about it and main reason it earned its spotlight is how easy it is to remove which is a great gift for those of us with sensitive eyes. All you need is some warm water and then take your lashes between your fingers and slide the mascara off. It looks crazy at first as if you would pull off your lashes but that’s actually the tubes. 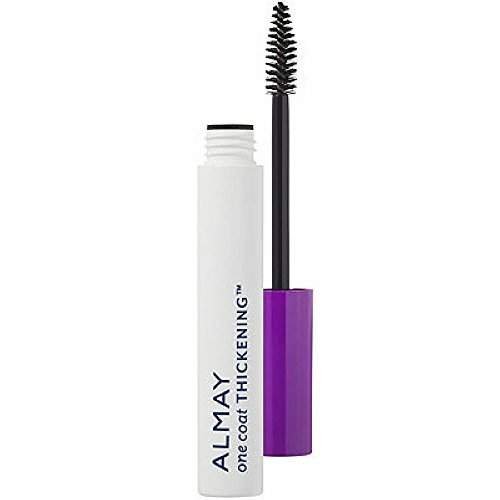 Performance and reviews: this is fragrance-free mascara which doesn’t flake so after a bad case of watery-red eyes this should be a delight. It’s fairly easy to remove, some water soap should do the trick and that’s another plus for the sensitive types. It won’t give you long and bold eyelashes so if that’s what you’re aiming for this is probably not the right choice. This product can do a good job in adding some volume though. Properly applied, it builds at the base of the eyelash line, not on the tips of the eyelashes avoiding the spidery look. Overall it will not satisfy you for a spectacular look especially with “one coat” only, but is excellent for everyday use and really a comfort for sensitive eyes. Formula: it has many natural and organic ingredients, the main reason this product is in list. On the downside it tends to dry up pretty fast. Performance and reviews: the natural/organic ingredients can make this product a good choice for those of us with sensitivity issues. However it can turn out that even to some natural ingredients your eyes can have an unpleasant reaction. It really comes down to what substances are you sensitive even allergic to, that you have to find out for yourself and then check the ingredients list. This formula does have a good volumizing effect but it takes two to three coats to do so. With some skill, you can avoid the clumping and the mascara will spread evenly with no spidery look. The products lives up to its name, and does its job very well for a natural look. Wand: because of the package shape, the plastic cap (the curved tip of a leaf) is not very handy. Especially when you need to roll the wand when working on the lashes. So there’s a tradeoff between looks and efficiency, I guess. Performance and reviews: it provides a natural look and builds up volume and length nicely, but you may have to use more than one coat and be patient enough to let it dry a little each time. If you get along well with its ingredients (which are mostly natural) your eyes shouldn’t be bothered at all and is also easy to remove. On the down side – it smudges and run so you have to be careful not to use it in humid conditions.